No. The price you see is the price you pay. Prices also include VAT and delivery to the UK. Will I get to see the artwork before it is printed? Absolutely! Once you have informed us of the wording required for your artwork, your graphic designer will create a unique design for your approval. A pdf proof will be emailed to you for approval prior to printing. We can always design your artwork to a room theme or colour if you would like us to. However, the pdf proof that we send you for approval may not be 100% accurate to the final printed canvas. We cannot be held responsible for exact colour matching requirements as your computer screen may have different contrast, brightness, hue’s etc. Because of this we cannot except returns on colour related issues. Where do you deliver to and how long will it take and at what cost? If you are unable to take delivery of your consignment it may be left with a neighbour for your convenience. If one or more items are purchased in a single transaction and to the same address, postage will only be charged once. This is a form of discount for multiple purchases. All artwork is fully insured. How are the canvases packed? All of your artwork will be safely wrapped in protective bubble wrap and packed in a custom-made corrugated cardboard box/parcel, the parcel is designed to withstand even the most rigorous of journeys safely. We take great care in ensuring your artwork arrives with you in the condition it leaves our studio. How long do you need from order to delivery? A couple of weeks if possible. We need time to discuss your project, create your artwork for approval, and arrange for production and delivery. Call 0845 2577 360 or email us, we're available to chat through your project and offer advice between 9am - 5.30pm Monday - Friday. 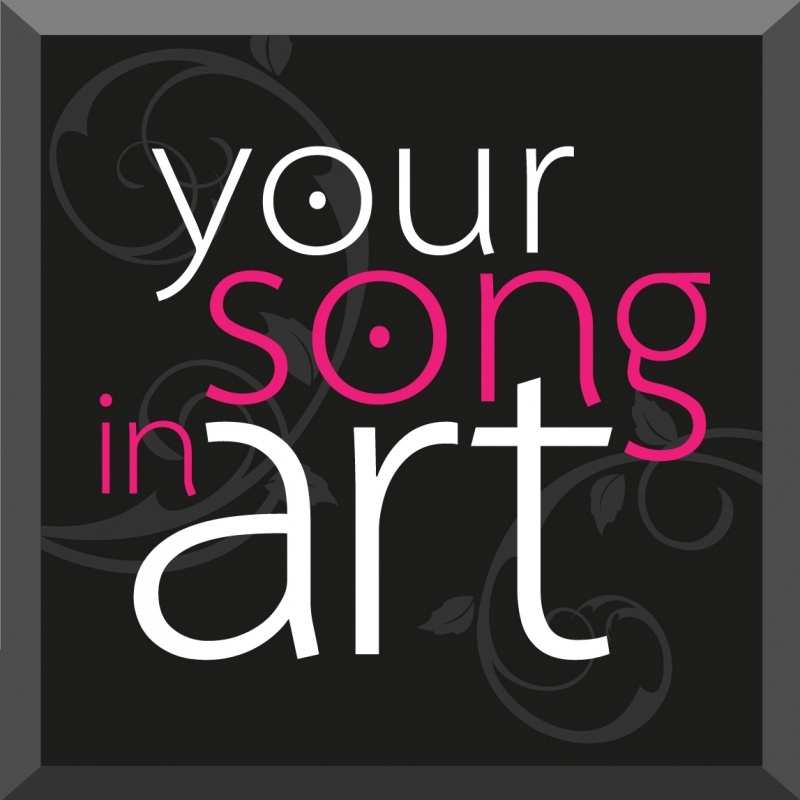 All Your Song in Art artworks are bespoke and made in England to order. Available as top quality canvases, our one-off designs can be ordered to your requirements for your personal enjoyment only. None are ever mass produced. That's why owning one is so special.